Up to 50% of children in disadvantaged areas start school without the language skills they need to progress. 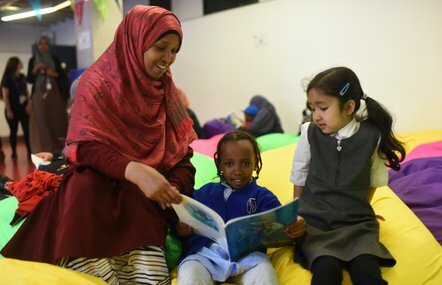 We train early years staff and volunteers to work with parents and children aged three to five, building parents’ confidence so that they can support their children’s communication, language and literacy skills at home. We have a wealth of downloadable resources for schools and settings delivering Early Words Together. 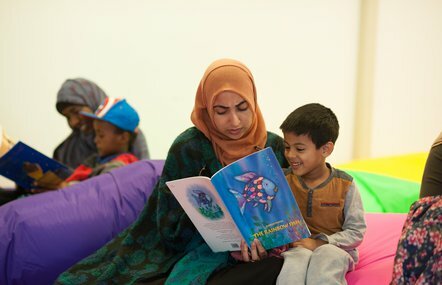 Multilingual (MLL) families can benefit greatly through the Early Words Together programme. Resources are available to download here. Resources to support Leicester schools run Early Words Together at Three can be found here. Maruf's mum Aniqa took part in the programme, which boosted her confidence in supporting her son's language and literacy skills. 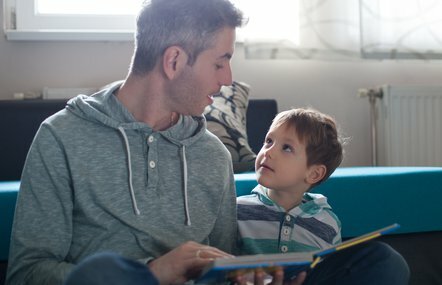 Parents whose children attend Dogsthorpe Infant School in Peterborough have been empowered to support their child’s learning at home after taking part in Early Words Together. 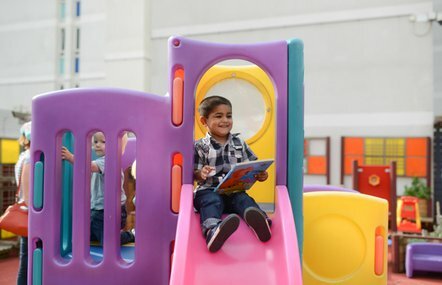 Over 200 families in Middlesbrough took part in the programme, with children making incredible progress to close the early years development gap. Early Words Together at Two is an adaptation of Early Words Together, created for families of two-year-olds.